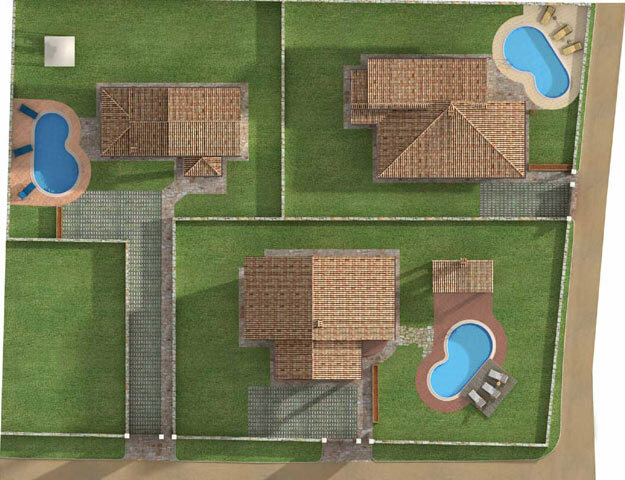 We are happy in offering you this lovely 3 bedroomed villa, near town Visnjan. 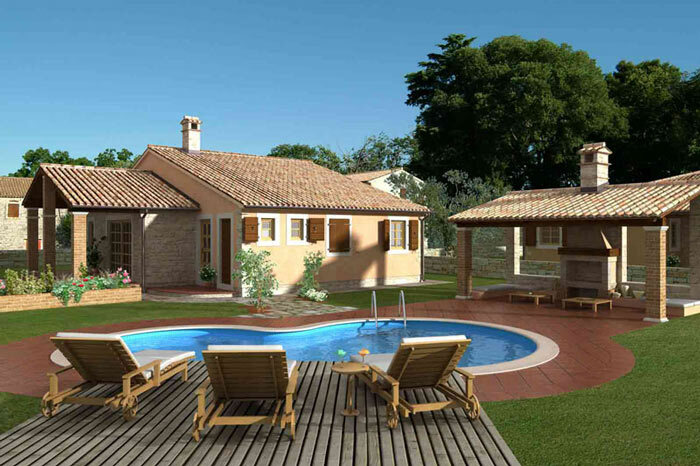 This superbly fitted and decorated detached villa has 3 bedrooms and 3 bathrooms has 130 m² of living space. 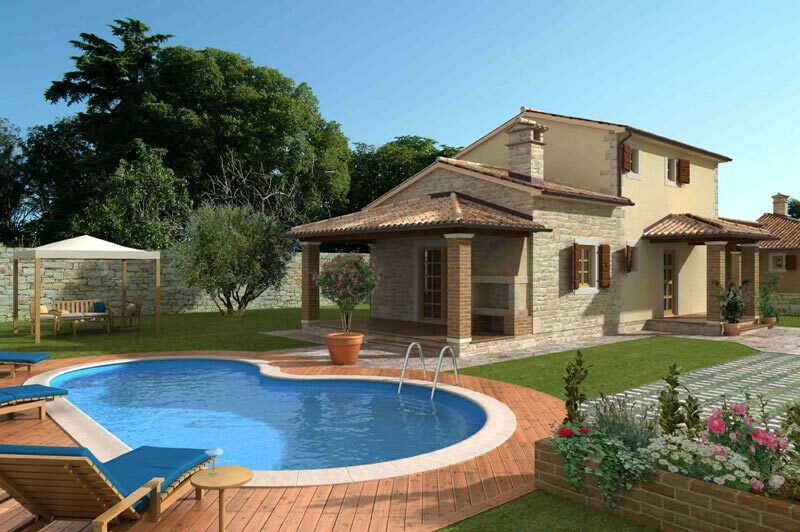 The ground floor consists of kitchen and dining room, 2 bedrooms and 2 bathroom, living room with fireplace and covered outside terrace next to the swimming pool. On the first floor are 1 bedroom and 1 bathroom. 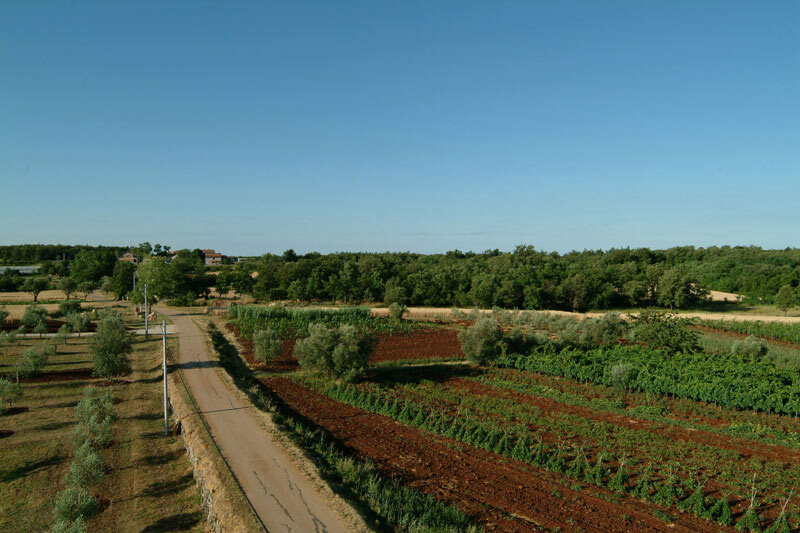 Plot , the plot is 700 m² with landscaped garden with olive trees and 2 private parking lots. Surrounding area: Whole area is peaceful. There are residential houses around the Lot . 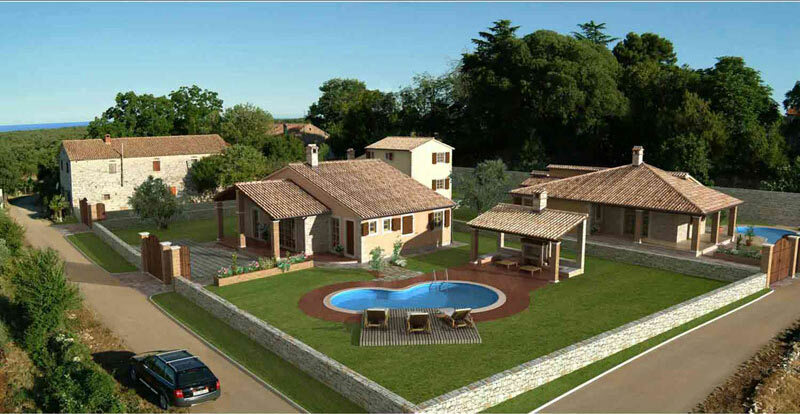 The local village is 1 km away where is local shops, bank, restaurants, post office and the major resort Porec is only 10 minutes drive which provides shops, banks, supermarkets, restaurants.